Elizabeth Knowlton (’19) is a senior from Holly Springs, North Carolina. 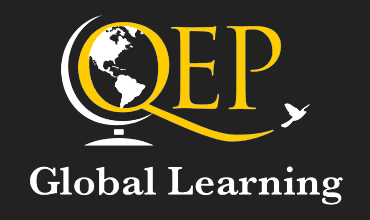 She is a double major in International and Comparative Politics and an Interdisciplinary Studies in Post-Conflict Reconstruction, with a minor in Judaic, Holocaust and Peace Studies. She was the President of the Peace and Genocide Education club for two consecutive years, and will graduate as the Vice-President. The minor in Judaic, Holocaust and Peace Studies was the most important factor in her choice to go to Appalachian State. Having been involved in Holocaust remembrance and education events since middle school, Elizabeth found a passion for the topic and wanted to dedicate her studies to it. After taking her UCO class in Peace and Conflict, Elizabeth found important mentors in the field that led her to want to pursue studies in Post-Conflict Reconstruction. The Judaic, Holocaust and Peace Studies minor along with The Center has not only taught her in-depth history of The Holocaust and other genocidal events, but also how to deal with the communities after such devastation and promote peace and reconciliation within these communities. After graduation, Elizabeth hopes to work with a Peace Organization abroad in efforts to heal communities faced with genocidal traumas. Mae Overstreet is a senior at Appalachian State University, completing departmental honors in each of her degrees, which include: a BA in Political Science, a BA in History, a BS in Political Science with a focus in International and Comparative Politics, and a BS in History with a multidisciplinary focus in National Security and Foreign Service. She is also completing two minors, one in Judaic, Holocaust, and Peace Studies and the other in Global Studies with a focus in Peace, Conflict, and Human Rights. 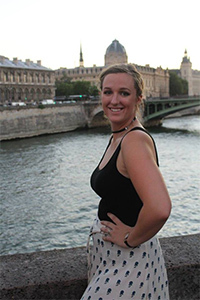 While pursuing her undergraduate degrees, Mae is also participating in the Accelerated Admissions program, completing graduate-level courses for ASU’s Master's program in International and Comparative Politics, which she will begin full-time in the Fall of 2019. 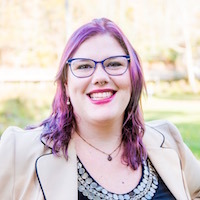 Once she has completed her graduate degree at Appalachian State, Mae hopes to gain acceptance into a Holocaust and Genocide Studies doctoral program. Mae’s passion lies primarily in genocide studies, where she believes knowledge is the most powerful tool in preventing the future occurrence of the worst kind of evil. In the fall of 2017, she began research on the genocide of Native Americans in ninetheenth-century America, and she hopes to have her work published before graduating from ASU. 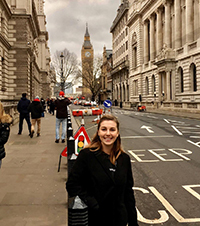 Mae will travel to Brussels this year to study the European Union and further her research on the EU’s ability to prevent genocides, particularly in Bosnia-Herzegovina. 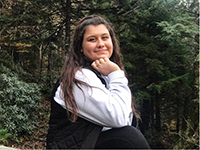 Next year, Mae hopes to travel to Israel with the Center for Judaic, Holocaust, and Peace Studies to enhance her knowledge of the Holocaust and gain valuable analytical skills as a historian of genocide. Mae will continue to broaden her research field as she begins her honors thesis in the summer of 2018. Here, she hopes to develop an advanced theoretical perspective of the social and psychological motivators that lead governments to commit genocides against indigenous peoples and the long-term effects these sentiments have on societies post-genocide. Sarah Perlmutter is a junior Biology major and a general business minor, a chemistry minor and a Judaic, Holocaust, and Peace Studies minor from Greensboro, North Carolina. She went on the March of the Living, an annual educational program which brings individuals from all over the world to Poland and Israel in order to study the history of the Holocaust and to examine the roots of prejudice, intolerance and hate. She went on the trip with her local temple, Temple Emanuel. Elias Pentes is a Sophomore Technical Theatre major from Charlotte, North Carolina minoring in Judaic, Holocaust, and Peace Studies with a Holocaust concentration. The grandson of a Holocaust survivor and scholar, Elias hopes to continue his grandmother's legacy through research, collaboration, and a promise to never let the world forget. Halley Roth ('20) is a Junior from Wilmington, North Carolina, and will be graduating December, 2019. 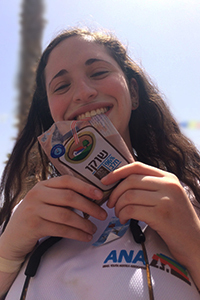 She is a BA student in Political Science with a minor in Judaic, Holocaust and Peace Studies. She chose this minor based on her interest in studying genocide, history, and politics. She also believes that it is very important to study these acts because many do not know the history of genocide and how it is coming to occur today. She is also President of the Peace and Genocide Education club and a member of International Appalachian (INTAPP). In the future, she would like to work with genocide prevention programs and post-conflict reconstruction. Megan Holtkamp graduated with a minor in JHP from ASU in May 2018. She applied and got accepted into the MA Program in History at the College of Charleston, SC. She is currently working on her degree there in close association with CoC's Jewish Studies Center. After her time at the CoC, Megan has her eyes set on a PhD program and has the goal of teaching Holocaust and genocide studies at the college level one day. As a recent graduate, she addressed supporters and donors of ASU's CJHPS at a luncheon in Blowing Rock: "The Center for Judaic, Holocaust, and Peace Studies has afforded me opportunities that have and will continue to advance my educational and career goals. Being able to complete the minor that the Center offers has helped me further my own knowledge in Holocaust studies which will aid me in my future goals of graduate school. Taking one of the courses offered as a part of the minor was actually my deciding factor in wanting to work in the field of genocide studies. I’ve attended several of the lunch colloquia that the Center has hosted that has given me the ability to learn from scholars in this field. Plus, getting to meet someone who works for Yad Vashem was one of the highlights of my last semester. Dr. Pegelow Kaplan has worked with me on my plans for graduate school, such as the possible programs and conferences that I could attend that would make me a better Holocaust scholar. Over the summer, I worked for the Center during the annual Holocaust Symposium, which was a great experience in something I would want to be a part of my own career. There has been so much that the Center for Judaic, Holocaust, and Peace Studies has done for students, including myself, in helping shape Holocaust and genocide scholars and preparing us for our future educations and careers.In the spring, I wrote an article for The Appalachian’s Diversity Issue about my experiences on campus as an openly queer Jew having experienced instances of antisemitic racism. The Center for Judaic, Holocaust, and Peace Studies is one of the few areas on campus that I have seen address antisemitism and work to combat these occurrences. Whether this was intended as a function of the Center, it’s something that I really value about the Center. Being marginalized has certainly shaped some of my experiences at ASU, but so has having a place that speaks out against these instances." After graduating from ASU, Brooke Laing pursued a Masters in the Human Rights Program at the University College of London. She recently completed and program and is still in London, England, currently working as an intern at Amnesty International. After graduating from ASU with a JHP minor, Trey was awarded a scholarship for the one year Masters in History program at Brandeis University. His master’s thesis examined Henry Ford’s The International Jew: The World’s Foremost Problem and its subsequent use among hate groups in the United States. Following graduation from Brandeis in May of 2016, he traveled to Poland on a graduate fellowship with the Auschwitz Jewish Center examining the legacy of the Holocaust within post-Communist Kraków, Łódź, Warsaw, and Oświęcim. 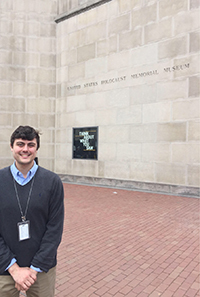 Upon his return from Poland, he accepted a newly created position with the USHMM working in donor relations and special events, a position that he still holds. His work takes him across the country, meeting with donors and working to spread awareness for the museum.